Charlotte, NC (CLT) to Bangkok, Thailand (BKK) Part 3, The Pier, Cathay Pacific First Class Lounge and Hong Kong (HKG) to BKK Cathay Pacific A330-300 Business Class. This is the final chapter of the series describing my flights from CLT to BKK. 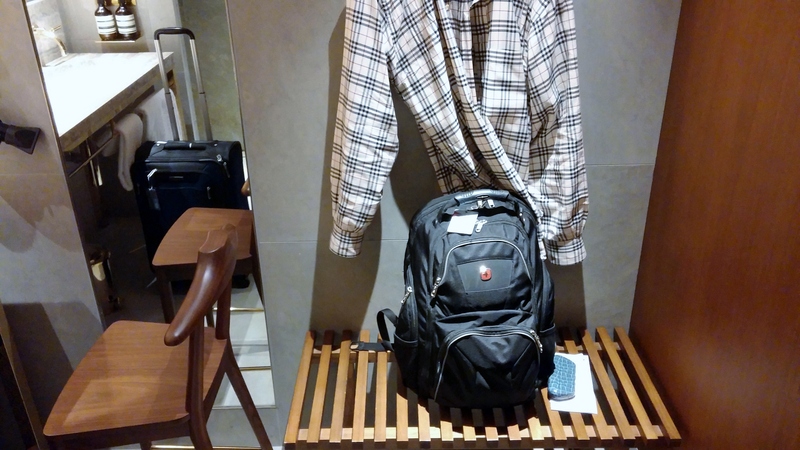 If you read the previous posts, you’d know how terrific the trip had been so far and that I was travelling basically for free with miles I earned from a credit card bonus. In addition to flying international first class for the first time, this trip would give me my first access to a top-notch, first-class lounge. I would not put the AA Flagship and BA first-lass lounges at JFK in that category. 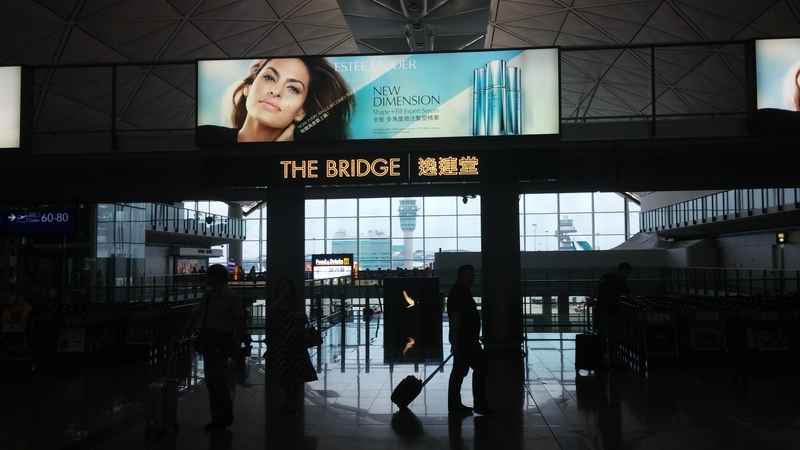 I had previously visited a CX business-class lounge, the Bridge, at HKG. 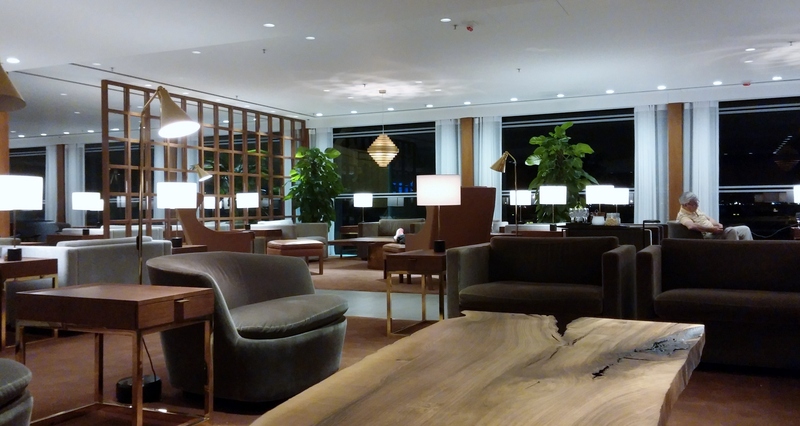 Even the Bridge, a CX business-class lounge, is far superior to any lounge of a US carrier and also surpasses the business-class lounges of European airlines that I have had the pleasure to enjoy. 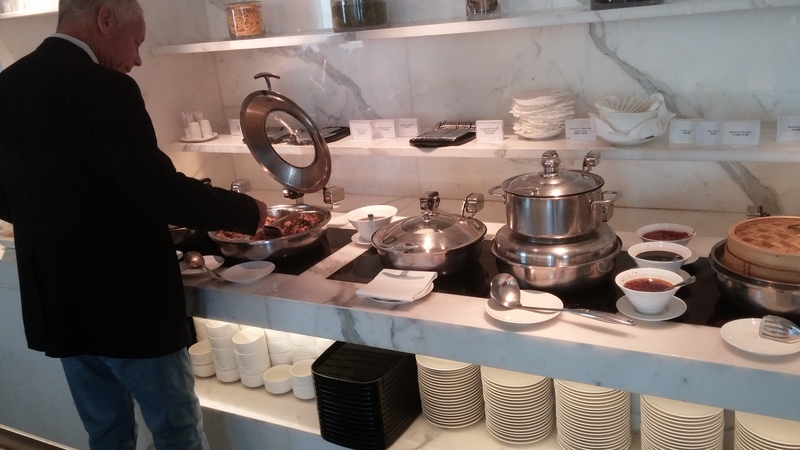 So what would the CX first-class lounge be like? It would be even better! 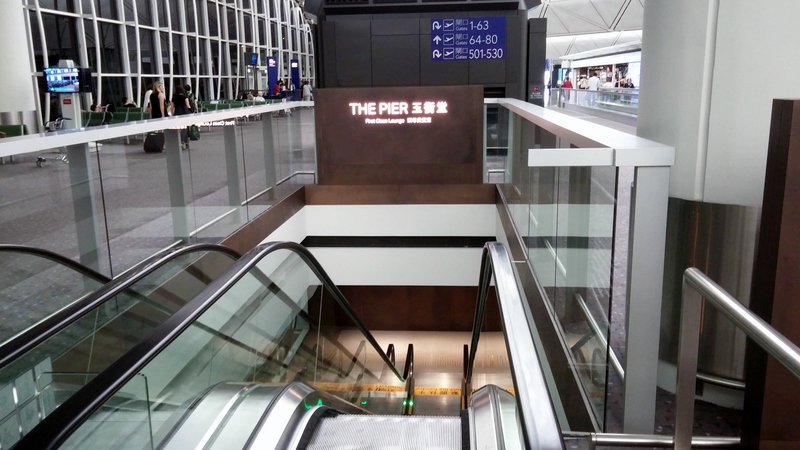 The Pier had a luxurious atmosphere with comfortable and quiet seating, a spa with free massages, day suites, showers, great booze and an order-from-the-menu complimentary restaurant. While the entrance to the Bridge was more appealing, once inside the Pier, its the merits were evident. 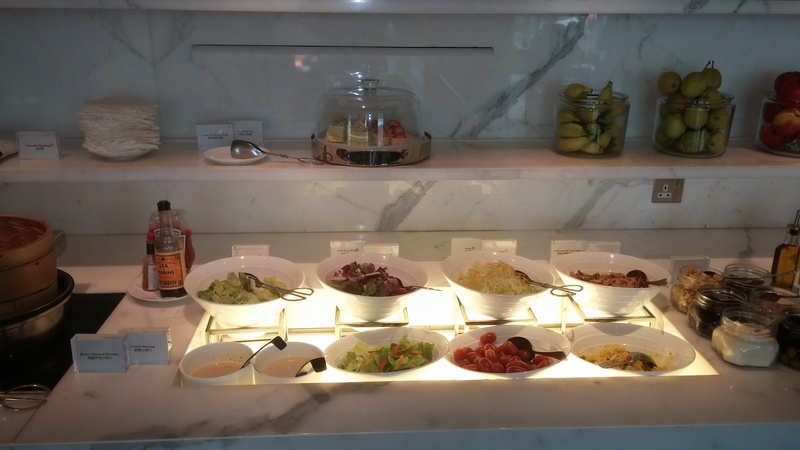 It is clearly the nicest airline lounge I’ve ever visited. 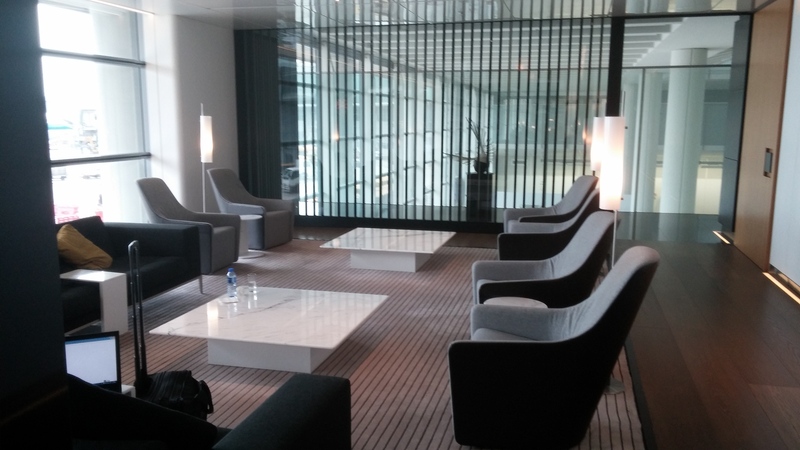 After presenting my boarding pass to one of the ladies checking credentials at the bottom of the escalator, I entered the main hall of the lounge that connects the seating areas, library, restaurant, spa and bar areas. The seating areas and bar are to the left as you enter the lounge. The spa is in the center of the lounge, and the restaurant is on the far right. Opposite the spa is another seating area that resembles a private library. There is a business center with computers, printers and faxes next to the library. The bar area was also luxurious. I did not note the names, but the liquor offerings were all ultra premium. Near the bar is a room with a variety of light snacks and soft drinks. It was not much of a buffet. I was a little disappointed until I remembered that anyone wanting real food could go to the restaurant. My first stop in the lounge was the spa where I could get a shower. The receptionist assigns showers and day suites and schedules appointments for massage. The showers and day rooms are to the left of the reception desk and the massage rooms are to the right. After the shower, I asked about a massage. The receptionist said it would be about a 15-minute wait and gave me a pager that would sound when everything was ready. I found a comfortable seat nearby in the library. It was actually less than 15 minutes when the pager alerted me to return to the spa reception desk. The masseuse was waiting. He led me to massage area. It is a brightly lit area with four or five smaller alcoves where the massages are performed. There was another person in the alcove next to me who was just finishing. My massage began with a foot bath and a foot massage. Then the masseuse performed a head, neck and shoulder massage. The whole thing took about 25 minutes. 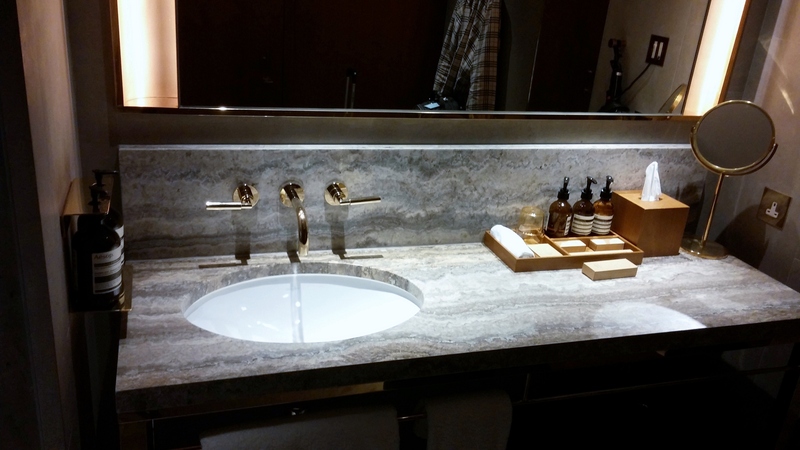 After the shower and massage, I was thoroughly relaxed and refreshed from the 16-hour flight from JFK. Sure, that flight was in first class but it was still 16 hours. To further explore the Pier, I decided to check out the restaurant. I was surprised that the restaurant was fairly full given how empty the rest of the lounge was. I guess the number of people gathered there meant the food was good. The restaurant looked very inviting, but I did not think I would have enough time to enjoy a meal there. At least I got a picture of the menu. It is amazing that all of these dishes are free. They are accompanied by excellent choices of wine and spirits. Unfortunately, with time being short, I decided to forego trying the menu until my next trip through HKG. Plus the next flight would have dinner. I was able to sit down with a drink and get on my computer for a few minutes before going to the gate for the flight to BKK. 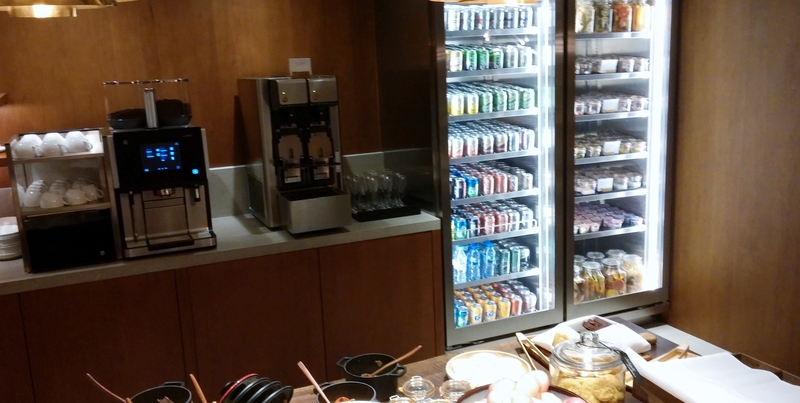 Seeing first hand what CX thinks a first-class lounge should look like, it was easy to understand its decision to abandon the BA lounges at JFK and build a lounge of its own there. The BKK flight was in business class since CX does not offer first class on its A330. On the A330 CX arranges business class in a 2x2x2 configuration. A definite come down from the 1x1x1 seating in first on the CX 777. I was in the last row of business class on the right side of the plane. I had the window seat, and the aisle seat was empty. So having two seats side by side was not a problem in this case. As always with Asian carriers, the FAs offered a sincere and gracious welcome as I boarded. They brought champagne (not Krug this time) as I took my seat. There was no amenity kit but slippers and headsets were provided. The video screen was large and the seat was very comfortable. It could be reclined to be fully flat. It was very similar to the business class seats on Korean Air. The flight to BKK is only about 1,000 miles and takes a little less than two hours and 30 minutes so the service was not going to be elaborate. It was also a late night flight, but CX offered dinner for those inclined to eat. Dinner started with the shrimp appetizer. I had the chicken entree and enjoyed it very much. Desert was Haagen Das ice cream served in the individual package. Nothing spectacular, especially compared with the first class service on JFK to HKG. Nevertheless for a late-night, short-haul flight, I was not complaining. After dinner, I watched some programming on the IFE and even dozed for a few minutes. Not long after I awoke, we were beginning the descent to BKK. Before landing at BKK, the FAs distributed to business-class passengers passes for the Premium Lane for BKK immigration control. BKK is one of the few airports I’ve been to that reserves a separate immigration area for passengers flying there in business class or first class. Airlines also give these passes to passengers who have high elite status in their ff program or the ff program of their alliance even if they are flying in economy class. I have been on flights were the FAs did not distribute passes to qualified elites in economy class. If that happens, just ask for one from the FAs or the flight purser before landing. They have given them to me when I have asked. I have never seen a line in the BKK Premium Lane that is more than one or two people while lines in the regular immigration area can be quite long at times. The funny thing is that people who get the Premium Lane passes often end up going through the regular immigration line. The Premium Lane has a small entrance and it is somewhat hidden. The airport signs direct people to the regular immigration area and make no mention of the Premium Lane. When I have arrived in BKK on DL, KE and CX, the walk from the arrival gates has always required walking past the regular immigration area to get to the Premium Lane. Many with Premium Lane passes simply stop when they come to the regular immigration area and never see the Premium Lane. Oh well, that means no lines, or really short ones, for those in the know. In this instance, there was no line and getting through immigration only took a minute. Since I had no checked luggage (just a carry on and a backpack), I immediately headed for the taxis to get to my hotel. There is no real customs in check in BKK. You just walk out with your luggage. While there are customs officials near the exit to the baggage claim area, they never seem to stop anyone. The arrival in BKK marked the end of the CX portion of my journey but it was just the beginning of my Southeast Asia tour. Following posts will cover my stays in Bangkok, and Chaing Mai Thailand, Siem Reap and Phnom Penh, Cambodia, Hanoi, Halong Bay, Nha Trang, and Saigon (Ho Chi Minh City) Vietnam, including hotels and airports and travel on Bangkok Airways, Cambodia Air Angkor and Vietnam Airlines and my train trip from Nha Trang to Saigon. 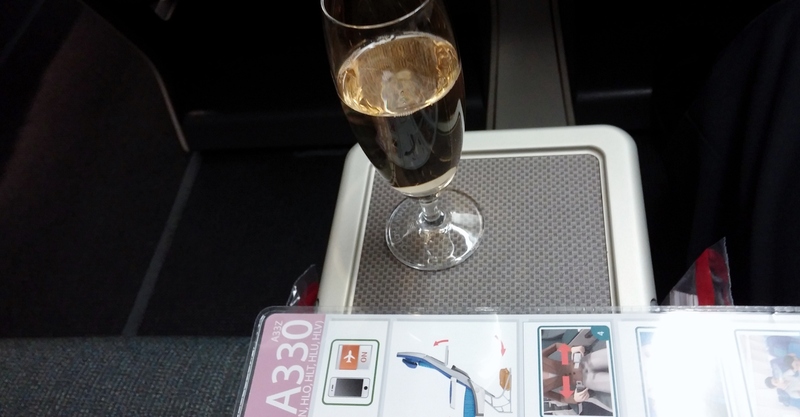 Last, a post will cover the return trip to the US in business class on Korean Air.